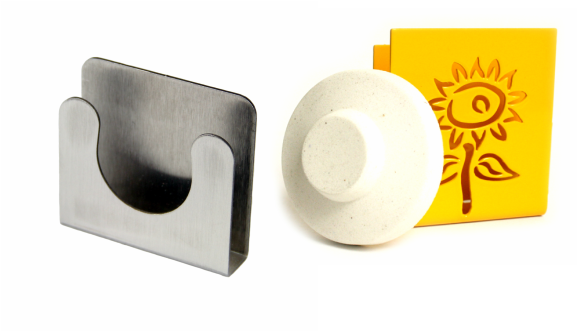 Celeste’s brackets can be used for both JetScent® Gel Discs and the Flight Fresh® Deodorant Discs. These brackets with adhesive backing for attaching to the wall are available in stainless steel, with or without a “No Smoking” symbol on the front of the bracket. For a designer look, custom cut and color brackets are available upon request for volume purchases. See your Account Manager for more details.